Your A1C test result (also known as HbA1c or glycated hemoglobin) can be a good general gauge of your diabetes control, because it provides an average blood glucose level over the past few months. Unlike daily blood glucose test results, which are reported as mg/dL, A1C is reported as a percentage. This can make it difficult to understand the relationship between the two. For example, if you check blood glucose 100 times in a month, and your average result is 190 mg/dL this would lead to an A1C of approximately 8.2%, which is above the target of 7% or lower recommended by the American Diabetes Association (ADA) for many adults who are not pregnant. For some people, a tighter goal of 6.5% may be appropriate, and for others, a less stringent goal such as 8% may be better.1 Talk to your doctor about the right goal for you. The calculation below is provided to illustrate the relationship between A1C and average blood glucose levels. This calculation is not meant to replace an actual lab A1C result, but to help you better understand the relationship between your test results and your A1C. Use this information to become more familiar with the relationship between average blood glucose levels and A1C—never as a basis for changing your disease management. See how average daily blood sugar may correlate to A1C levels.2 Enter your average blood sugar reading and click Calculate. *Please discuss this additional information with your healthcare provider to gain a better understanding of your overall diabetes management plan. The calculation should not be used to make therapy decisions or changes. Performed by your doctor during your regular visits, your A1C test measures your average blood sugar levels by taking a sample of hemoglobin A1C cells—a component of your red blood cells. Some blood sugar (or glucose) naturally attaches itself to A1C cells as they move through your bloodstream. When this happens, the cell is considered "glycated." Once a cell has been glycated, it stays that way. And since each A1C cell has a lifespan of about 4 months, your A1C sample will include cells that are a few days, a few weeks and a few months old. As a result, the test covers a span of about 2 to 3 months. A1C is important, but it's not a substitute for frequent self-monitoring. Only regular blood sugar checks show you how meals, activity, medications and stress affect your blood sugar at a single moment in time, as well as over the course of a day or week. The only way to get a complete picture of your blood sugar control is by reviewing your day-to-day self-checks along with your regular A1C tests, and working closely with your healthcare team to interpret the results. This calculator only estimates how the A1C of someone who self-monitors quite frequently might correlate with their average meter readings. But many factors can affect blood glucose, so it's critical to have your A1C checked by your doctor regularly. 1American Diabetes Association. Standards of medical care in diabetes—2017 [position statement]. Diabetes Care. 2017;40(1): S1-S135. Available at: http://care.diabetesjournals.org/content/diacare/suppl/2016/12/15/40.Sup.... Accessed July 28, 2017. 2Nathan DM, Kuenen J, Borg R, Zheng H, Schoenfeld D, Heine RJ. Translating the A1C assay into estimated average glucose values. Diabetes Care. 2008;31(8): 1473-1478. Available at http://care.diabetesjournals.org/content/31/8/1473.full.pdf. Accessed July 28, 2017. 3American Diabetes Association. A1C and eAG. 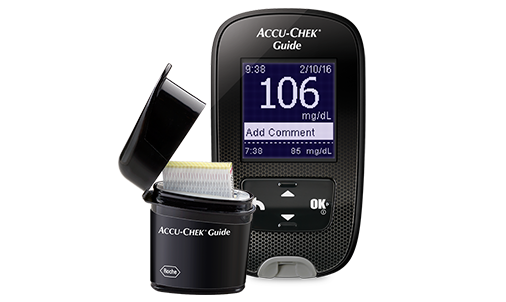 Available at: http://www.diabetes.org/living-with-diabetes/treatment-and-care/blood-gl.... Accessed July 28, 2017. 4Tylee TS, Trence DL. Glycemic variability: looking beyond the A1C. Diabetes Spectrum. 2012;24(3): 149-153. Available at http://spectrum.diabetesjournals.org/content/25/3/149.full. Accessed July 28, 2017.